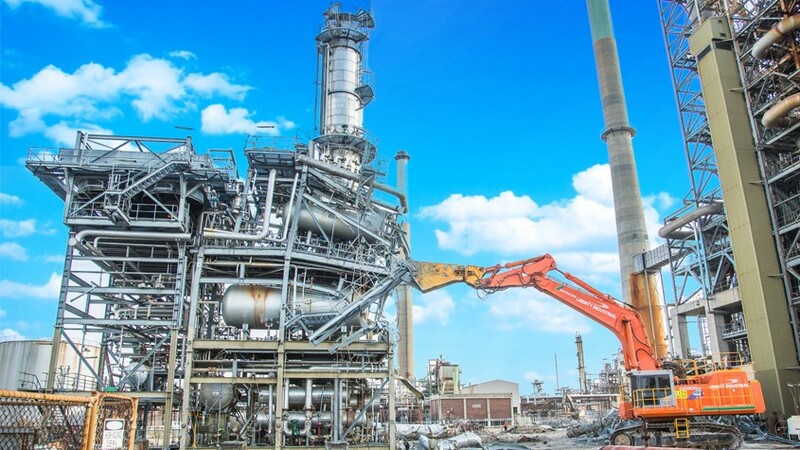 The demolition and removal of all redundant refinery infrastructure at the former Clyde Refinery including refinery processing units, plant and pipework, chimney stacks, storage tanks and buildings. A combination of techniques from traditional mechanical demolition and oxy cutting through to mechanically induced collapses and controlled implosions were employed. 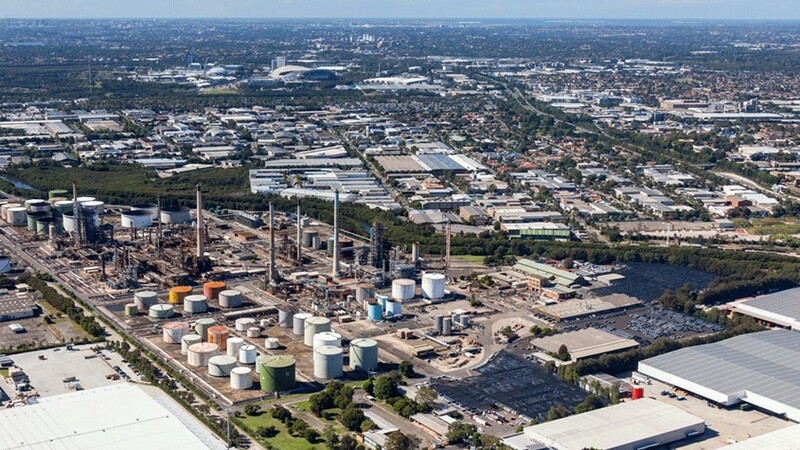 Liberty Industrial assisted the client with the preparation of documentation critical for obtaining development consent from the NSW Department of Planning & Environment due to the refinery’s status as State Significant Infrastructure. 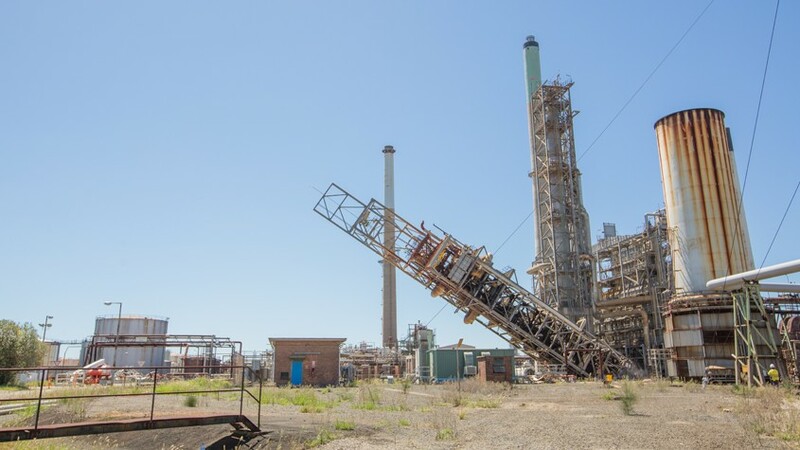 A comprehensive inspection and validation strategy was adopted to identify the hydrocarbon associated hazards throughout the refinery. The information was invaluable in the development of risk mitigation strategies and the implementation of adequate control measures. The project involved the removal of substantial volumes of friable and bonded asbestos. Innovative controlled wetting injection technology was utilised to enhance the safety and efficacy of friable asbestos removal works. In total 500 tonnes of hard set limpet asbestos was removed in three months. The project also involved the safe removal and recycling of 1,64,000 litres of transformer oil including approx. 100,000 litres of Polychlorinated Biphenyl contaminated mineral oil sent for dechlorinisation. 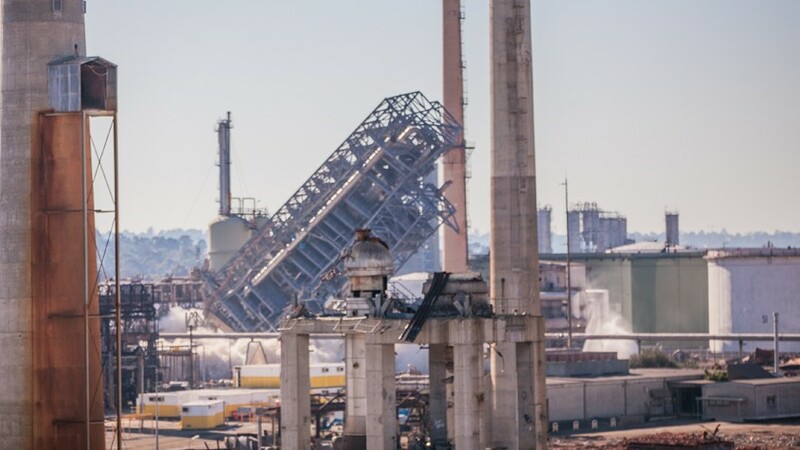 Significant structures demolished include the Platformer Reactor structure, Reactor and Stripper structure and the refinery’s five reinforced concrete chimney stacks. The 60 metre tall 1000 tonne Platformer Reactor structure demolition was a predetermined mechanically induced collapse. 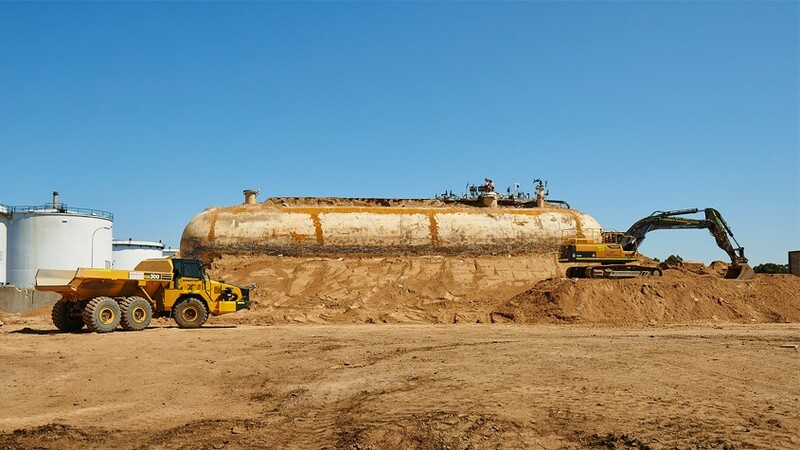 A carefully designed and calculated sequence of structural preweakening was undertaken with a 120 tonne excavator used to apply sufficient inertia to induce a controlled demolition. The 65 metre tall, 1,500 tonne Reactor and Stripper structure was demolished using controlled explosive techniques. Explosives were used to fragment four of the structure’s seven reinforced concrete foundations and forcing the structure to hinge over the remaining supports, collapsing the structure. Liberty Industrial used ASI Extreme Loading for Structures demolition simulation software to demonstrate our proposed demolition methodology for this structure to key regulatory stakeholders, demonstrating how it would react upon implosion of four of the structure’s seven reinforced concrete foundations, and hinge over the remaining supports to collapse the structure in a controlled manner. 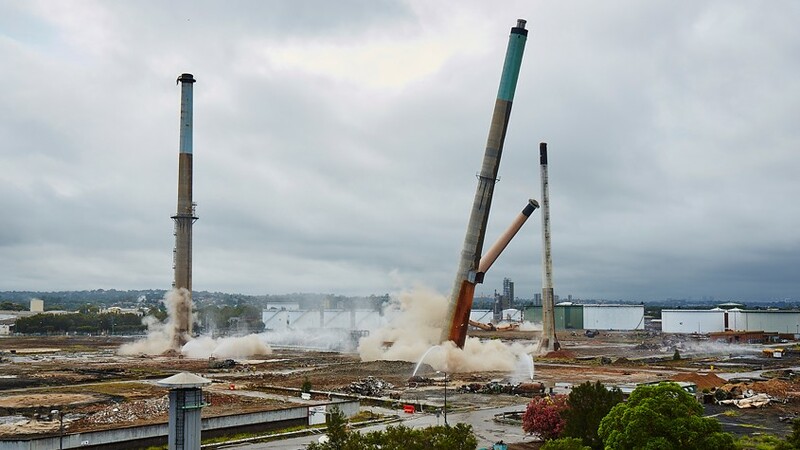 The project culminated with the demolition of five 80-100 metre high reinforced concrete chimney stacks. All five 1000 tonne concrete structures were demolished through the controlled use of explosives. Over 150,000 hours of work including 20,000 hours of asbestos removal work was carried out without a single lost time injury or incident. 93% of waste material was recycled with only 7% going to landfill. 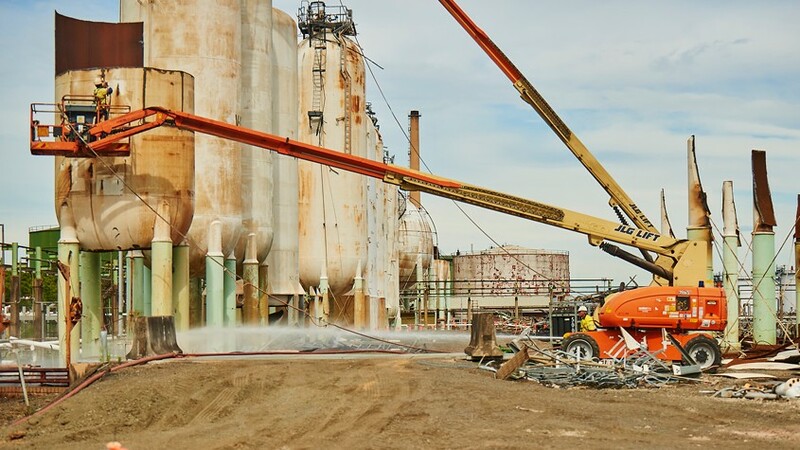 An entire refinery facility has been successfully removed with all works completed without incident, on schedule, and in line with stakeholder expectations. The project was shortlisted as a finalist for the 2016 World Demolition Awards in the ‘Contract of the Year Over US$1 Million’ award category.